Parents, students and staff gather in downtown Los Angeles as the Los Angeles Unified School District votes to deny renewals of five charter schools on Tuesday, Oct. 19, 2016. DOWNTOWN LOS ANGELES (KABC) -- Five schools have lost their charter status after the Los Angeles Unified School District Board of Education voted to deny their renewals Tuesday night. The five schools include Magnolia Science Academy 1, Magnolia Science Academy 2, Magnolia Science Academy 3, Celerity Dyad and Celerity Troika. The board could have revoked El Camino Real Charter High School's authority to operate, but decided to stay the action, as long as the school agrees to the district's terms. The Los Angeles Daily News reported El Camino Real Charter High School's Executive Director David Fehte would resign under a tentative agreement that stops the charter revocation process started by LAUSD. Under the agreement, Fehte would step down effective Oct. 26, according to The Los Angeles Daily News. A review by the district found several problems with the high schools including alleged inappropriate spending, claims of importing foreign teachers and having possible conflicts of interest with corporations. 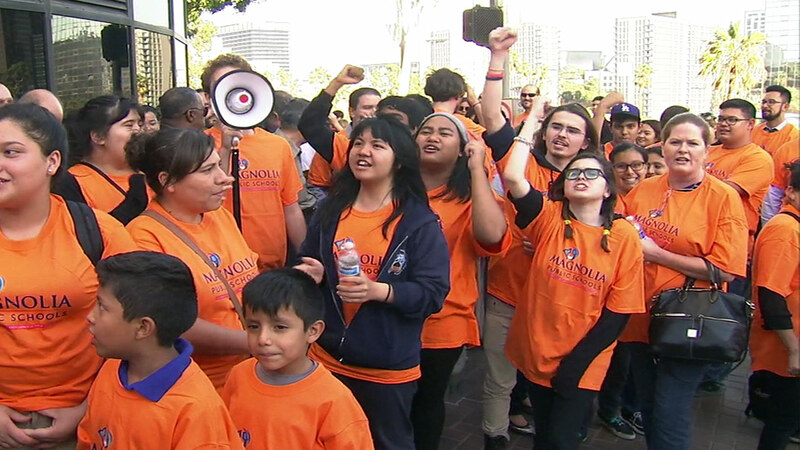 Tuesday's board meeting drew a large crowd of parents and teachers in downtown Los Angeles. "I believe it's all about LAUSD trying to regain control of all the charters because our kids excel. We have great donors. We raise a lot of money as parents and as a community for our children," El Camino Real Charter High School parent Erin Sanchez said. LAUSD has the highest number of independently operated charters in the U.S. school system. CORRECTION: An earlier version of this story said the five schools were in Woodland Hills, but the schools that lost charter status are not in Woodland Hills.